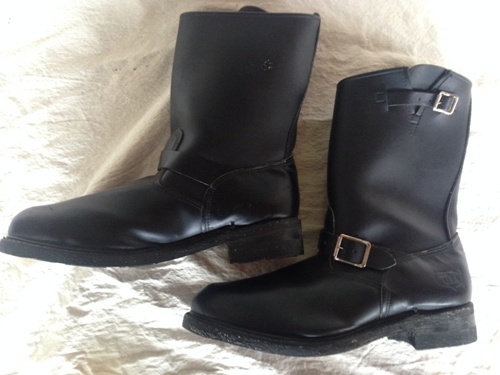 All pictures are of the boot for sale here. Brand new boot, no box (save on shipping). Never worn or even tried on, they were at the bottom of a pallet full of boots that Glenn bought at auction! MSRP $169.95 and up Glenn's Price = $109.95! !/ONE pair only! Glenn found a great deal for a size 11 ½ Medium foot sized Mountaineer! The boots are GENTLY USED, the only sign of use is some rocks/pebbles in the vibram sole. The first picture is a stock photo. The next 5 pictures are of the boots for sale here so the lucky buyer can see what an incredible deal they are getting. They won't last, grab them if you need the best mountaineering boot available for a fraction of the price! Dual-Zone Contact Lacing System - Anatomically asymmetrical, with free-floating lace points that allow the upper to conform precisely to the shape of the foot, as well as a Lace Lock for bi-zonal fine tuning.